With warming and sun, uncertainty about the snowpack is increasing. Most loose wet avalanches you will see are a few days old. Watch for wet avalanches if you see soft, wet snow on sunny slopes and at low elevations. The lower elevation snowpack continues to creep and glide under the weight of recent rains. While no glide avalanches have been reported, they are on our mind. If you see crevasse like features on a slope, limit you exposure by avoiding traveling on or below these areas. Expect difficult travel conditions at lower elevations including breakable crust, wet heavy snow, and open creeks. 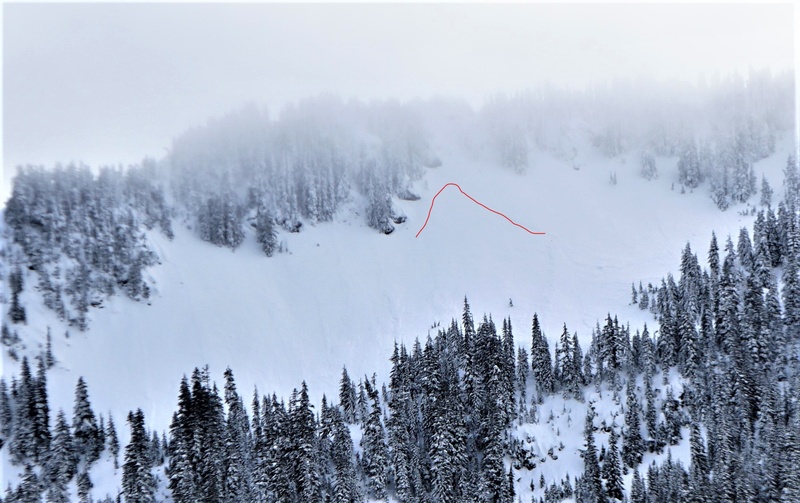 Evidence of Wednesday’s avalanche cycle is easy to find. Debris from several large and very large avalanches Has been reported around the Alpental Valley. 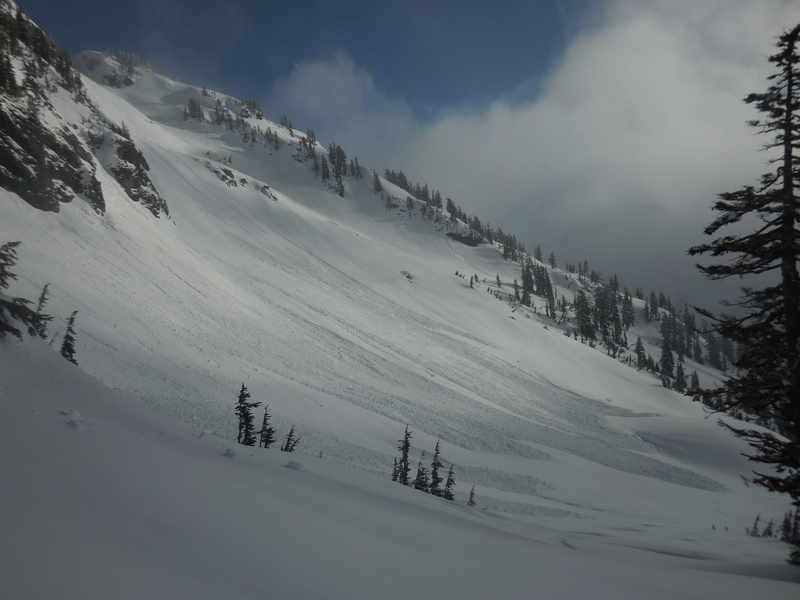 Check out the Regional Synopsis for more details of recent avalanches and conditions. Recent storm snow should be gaining strength. However, we have a high degree of uncertainty at higher elevations. You may still trigger lingering storm slabs on very steep slopes, near convex rollovers, or in unsupported terrain. If you see evidence of wind drifted snow, storm slabs in these areas may be deeper and easier to trigger. A little patience and caution will go a long way if you are traveling into alpine areas or more remote locations.